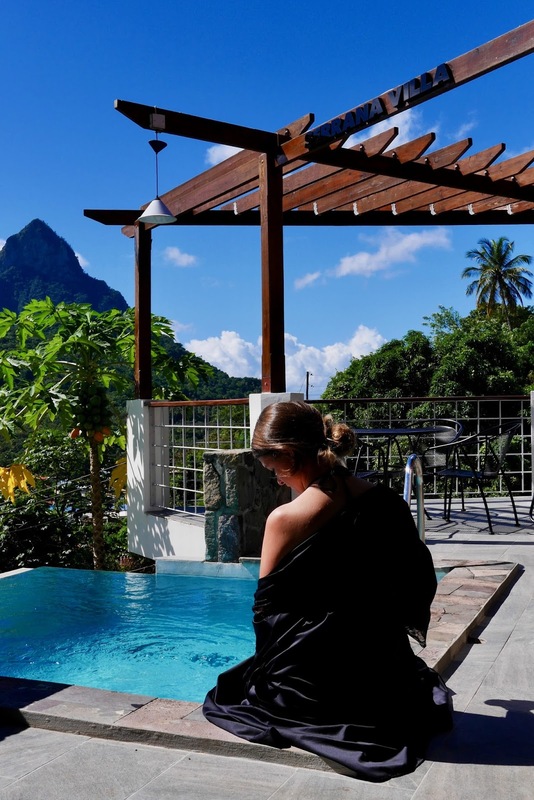 St Lucia is building up to be 2018's most trendy destination, with lush jungle, famous piton mountains and incredible beaches its easy to see why its been featured heavily in the latest travel magazines. 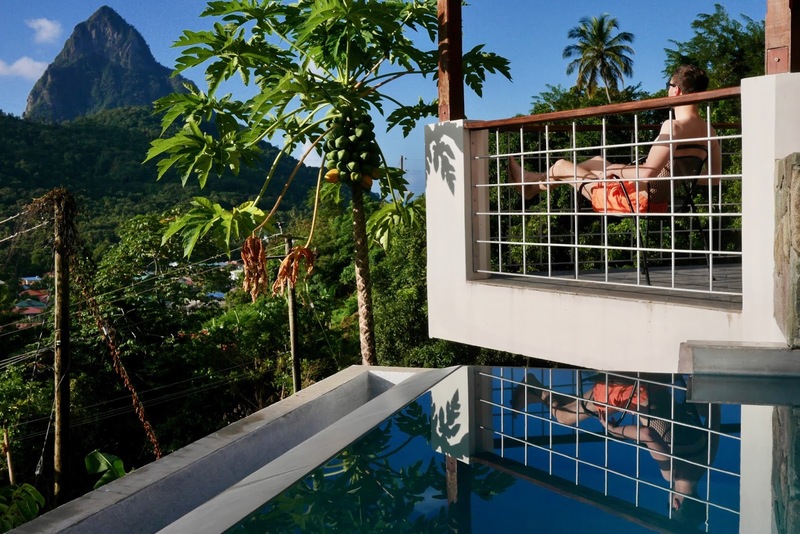 One draw back of St Lucia is the hotel prices, they can be extortionate but a local named Janus has built himself two incredible villas which you can rent for a fraction of what the local 5* hotels are charging! Don't have time to read the full review? Check out our short video which shows both villas in 4K resolution where you can see just how stunning this place is. When I first stumbled upon Serrana Villa I actually thought it was a scam and I wasn't alone, Jenus has had many visitors telling him that the prices are so low they wondered if the villa even existed. From £150 per night you can have your own private villa in the most sought-after area on the island. Who is the host? Well Janus runs Islander Villas and he should be your One-Stop travel guide with anything to do with St Lucia. 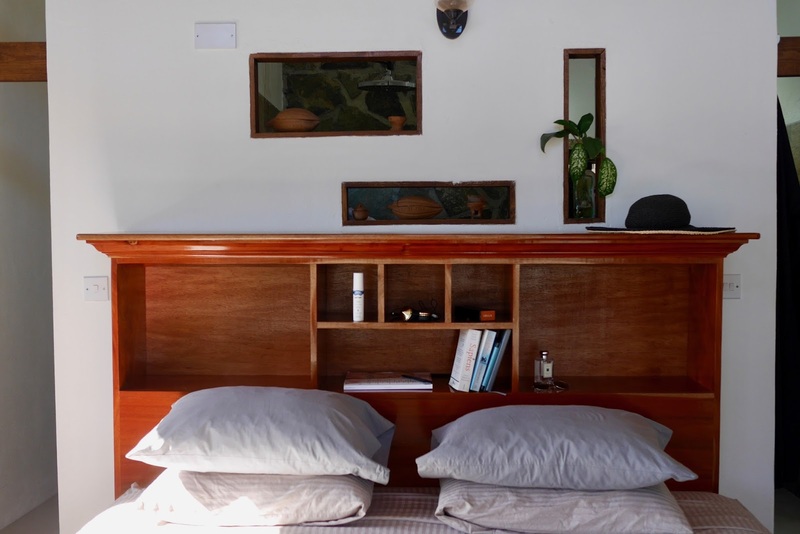 Bookable through Airbnb (where I originally found his villas and booked ours) Janus has a couple of apartments for rent, the infamous Serrano Villa and his new venture Sargas Villa (more info on that one in the video). 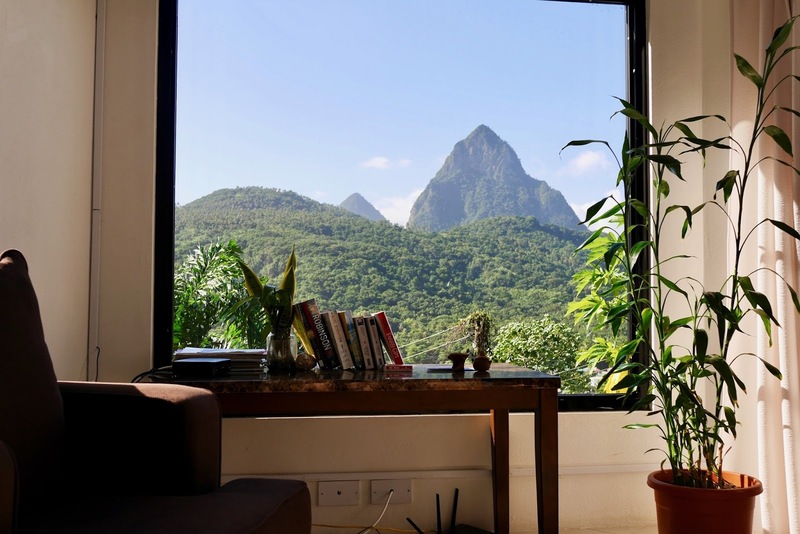 Located in the Caribbean Island of St Lucia, made famous by its twin Pitons and mountains terrain makes this place look more like Jurassic Park than a bog standard Caribbean Island. Covered in a thick blanket of green jungle with some challenging roads to navigate through really does make you feel like your on a proper tropical island. Don't be put off by any of those super steep and bumpy roads though as they can lead to some of the most awesome places (am talking about you Jade Mountain). 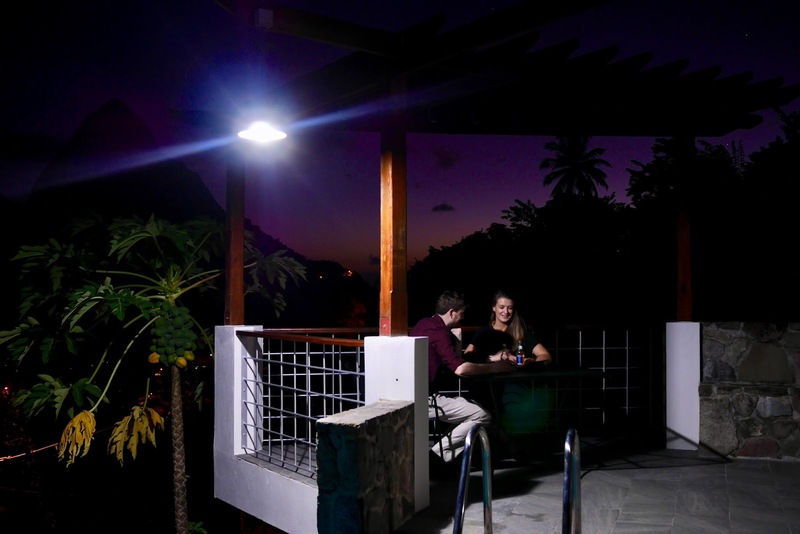 Located in the small laid back town of Soufiere, up a bumpy road and carved into the mountain side is Serrana Villa, with a parking space set under the house to make sure your car does not boil alive you know from the start this places is well designed. Soufiere is a stunning little coastal town, with the brightly coloured buildings to the beautiful little beach at the edge it really is Paradise. 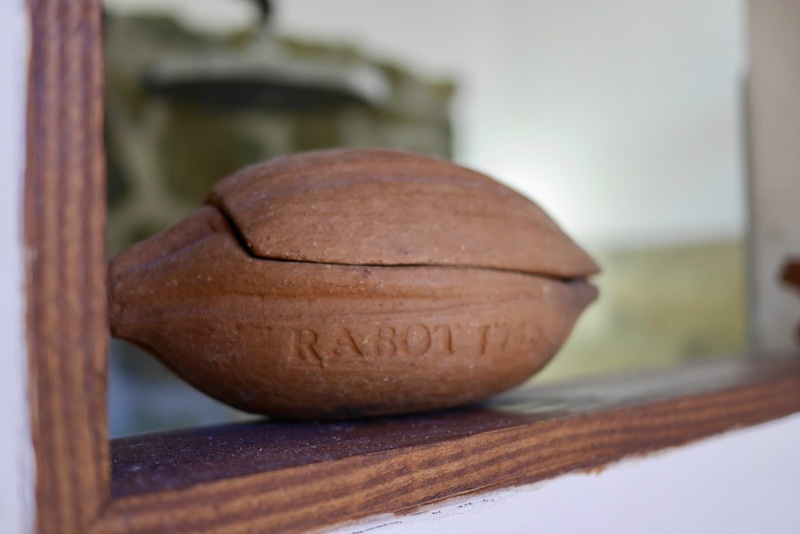 But most people only see this town on excursions and part of what Janus wants you to do is really feel like a local and live the St Lucian life. Here is what you can visit within a 30 min drive (all the beaches are public beaches so don't worry about them being at a resort). Opening the front door leads you into the main lounge, from here you will need to pick your jaw of the floor as you gasp at the truly incredible view. 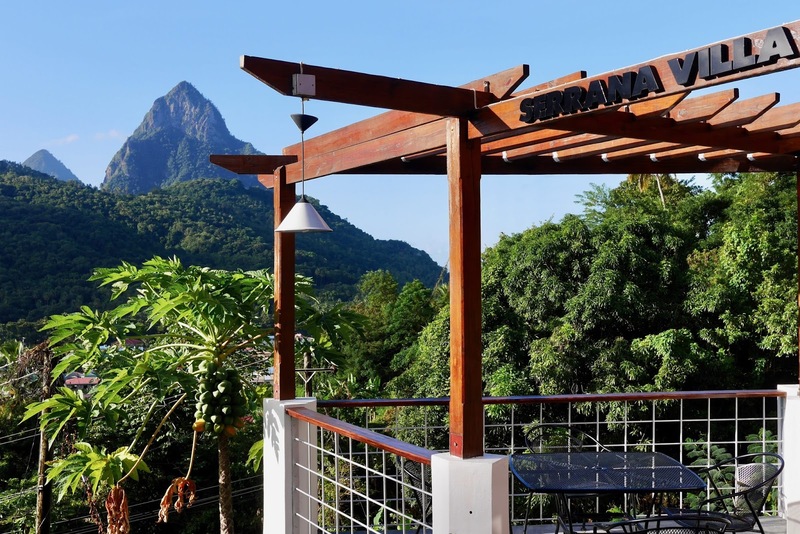 St Lucia is mostly famous for its Pitons, they are two super steep mountains and if you Google St Lucia 99% of the pictures you get will be of these two mountains. Why mention them? 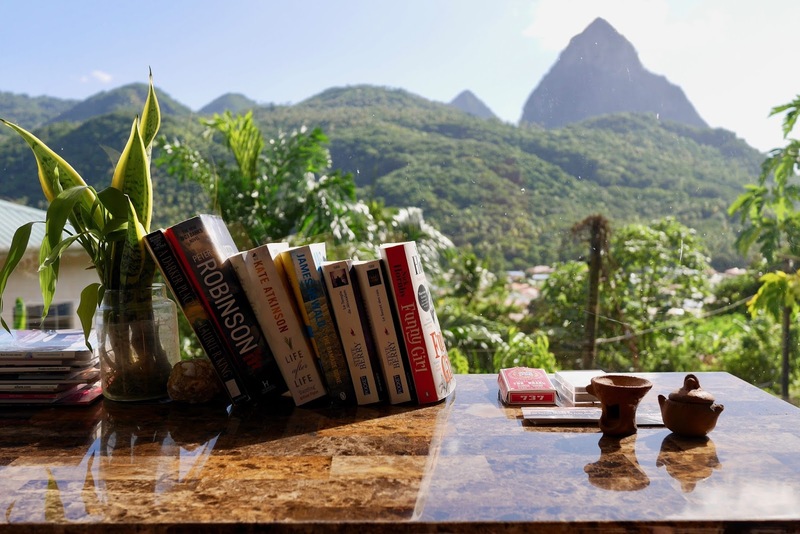 Well the view from Janus's villa isn't just any view, from that lounge, balcony, kitchen and even your bed you get a perfect view of the Pitit Piton with the Grand Piton peeking out behind it. From the sunset to the sunrise this place has the most incredible views you could ever imagine. 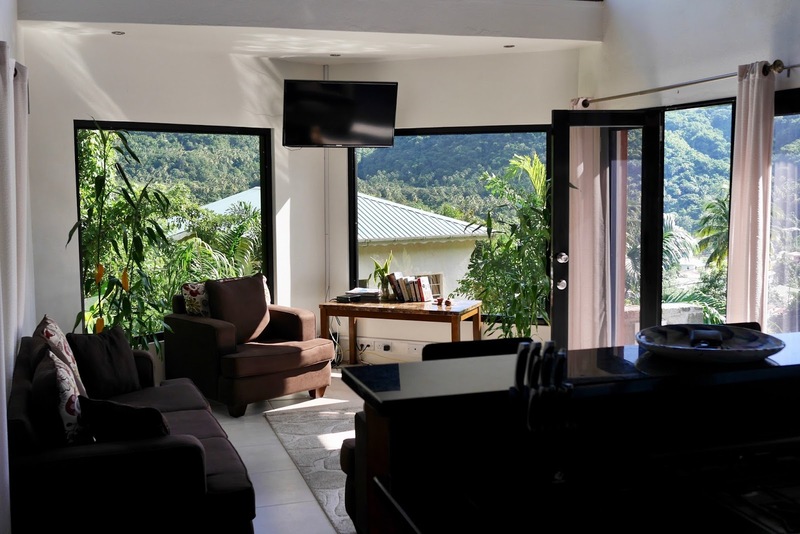 Once you drag yourself away from that view you find yourself in a spacious open plan lounge and kitchen. Containing everything you need from a gas cooker to a huge American style fridge to keep all those Piton Beers cool in! At the back of the villa is a nice double bedroom, a shower room with a walk-in stone style shower and a small office space with a computer ready to check the weather back home and rub in how it’s not cold and raining in St Lucia. Back through to the front of the villa and into the master bedroom you will find an incredible suite with a double bed, stone shower, his and hers sink and windows perfectly positioned to see the Pitons at sunrise (this was quite incredible watching the sunrise and the pitons come into view from your bed). 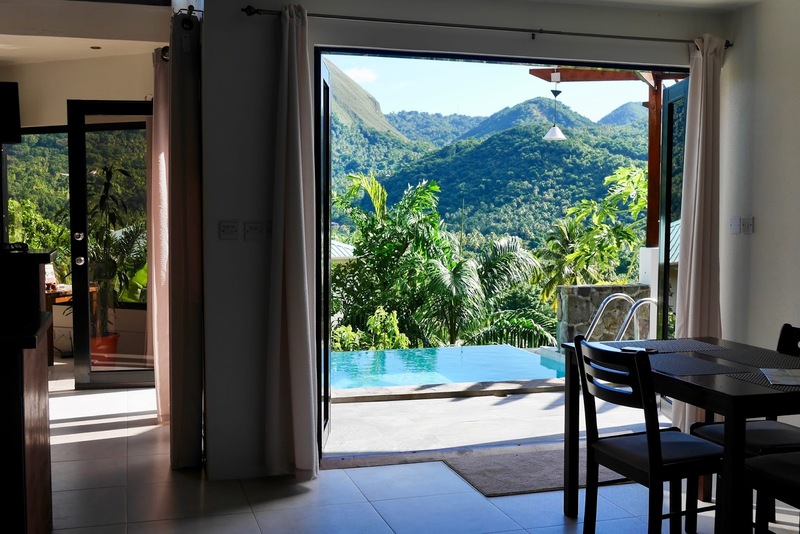 Now for the Creme de la creme, exit the villa via the master bedroom or French doors in the lounge and you will find yourself on the stunning balcony with that infinity pool, overlooking Jurassic Park, wait I mean the Jungle. The pool is perfectly sized (about 4-5ft deep) for two people to cool off and take in the view, you're not going to be swimming any lengths in here but who comes on holiday to do that! 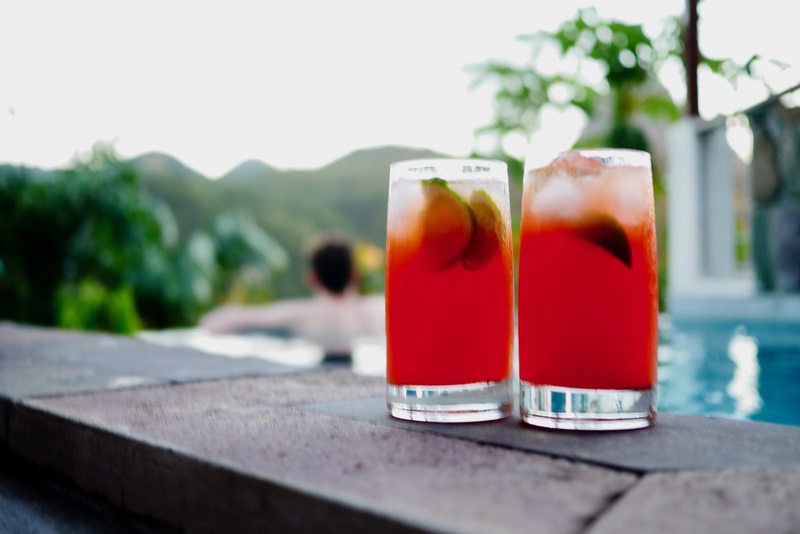 We spend quite a few nights chilling in the pool at sunset with some homemade Rum Punch watching the red sky over the pitons, this place really is something special. The town is only a 15 minute walk away with grocery stores, bars and plenty of restaurants to keep you well fed (Rubys Pizza Place is only 5 minutes away and serves up some awesome Italian pizzas). 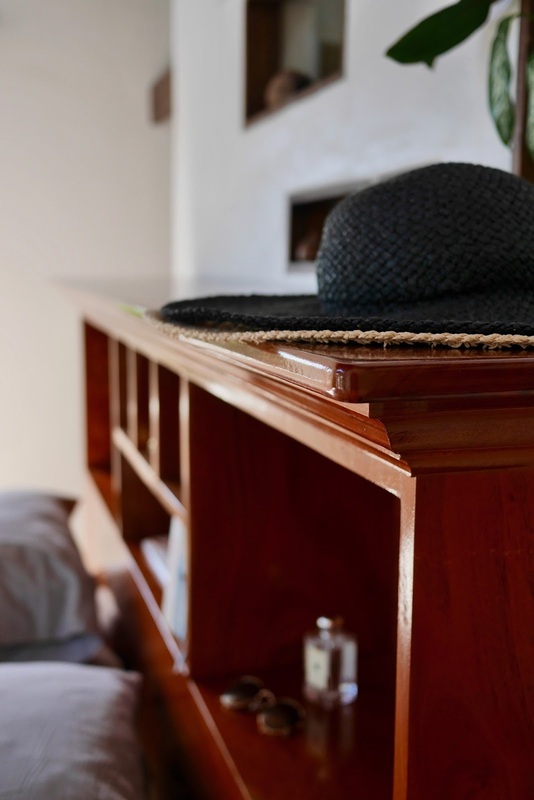 The villa is also packed with the latest tech, from UK and USA plug sockets to some super ice cool A/C in the bedrooms. There are huge flat screens TV's in the lounge and bedroom equipped with satellite and even Netflix. Finally there is of course wifi which worked quite well considering you are perched on the side of a mountain. Like I said at the start Jenus is the one-man travel stop for everything St Lucia so if you're coming to the island don't go booking a car hire or tour through anyone else as Jenus will have you covered. He offers some great 4x4 jeep hire (you you definitely need a 4x4 on these roads) , local tours and even a taxi service all for the best possible price over at Islander Cars. But seriously if your renting a car then Jenus is you man, I hate those rental company that add on extras for every little thing but Jenus will give you a car, full tank of fuel, drop off and pick up anywhere on the island, local cell phone and cool box all for no extra cost. Head over to Islander Cars for full info on car hire (we were around £360 for a small 4x4 for a week all in). 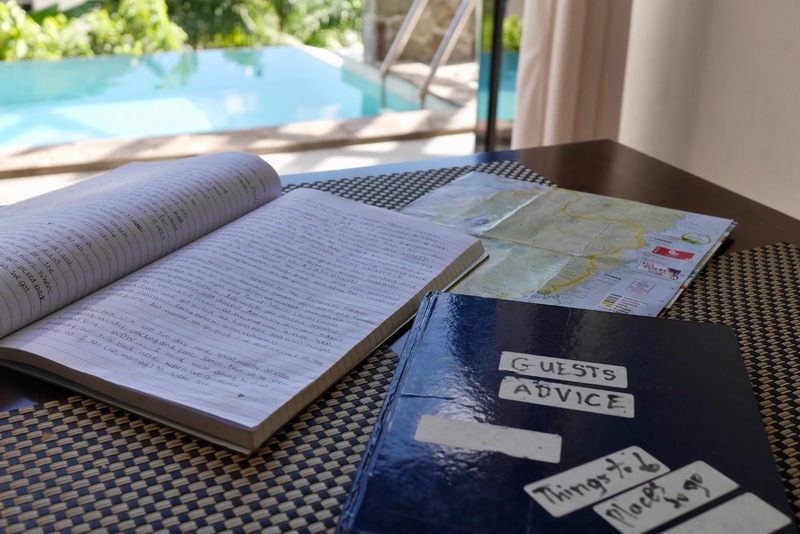 If you're staying in one of Janus's villas then you will find a handy book full of travel tips from where to eat to what to see by previous guests, we used it and found it incredibly helpful to help plan our week at the villa. Janus's villa was probably one of the most stunning places we have ever stayed in, the locals were friendly, the villa was incredible and the location was central for the best tourist attractions on the island! 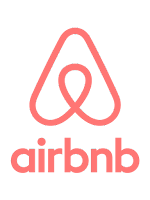 book through AirBnB and if you're not a member yet then click here for £25 off your first stay! Thanks Janus for an awesome holiday in St Lucia! This looks absolutely incredible and is such a surprisingly low price for what you get! Will definitely keep this in mind. Stunning photos as well. It's quite something isn't it! For that price you would expect there to be some sort of catch but the place was just perfect, highly recommend a stay here if you ever visit the island.